It’s the thoughtful little touches that make each wedding day experience so personal. From the moment the beautiful bride opens her eyes on the morning of the big day it’s an exciting whirlwind of love, laughter and happiness surrounded by her closest friends and family. 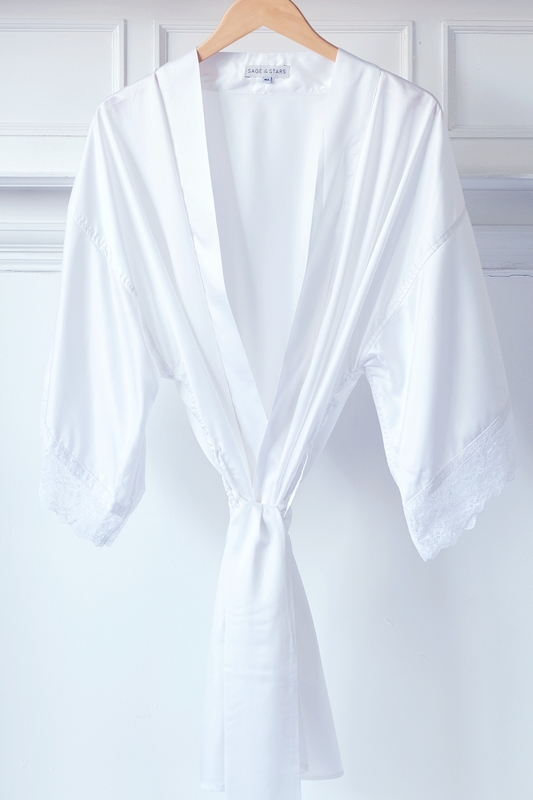 Our beautiful bridal robes are something very special, we use only the purest organic cotton and bamboo silk, ethically sourced and handmade in the UK. They are designed to elegantly envelop our brides whilst getting ready with bridesmaids and family, the perfect attire for those pre-wedding photographs. Made to match our brides, we have a choice of bridesmaid robes too. Add a hint of colour with a plant and flower dyed belt tie in blush rose, lavender or contact us to discuss a bespoke colour that matches your wedding colour palette.